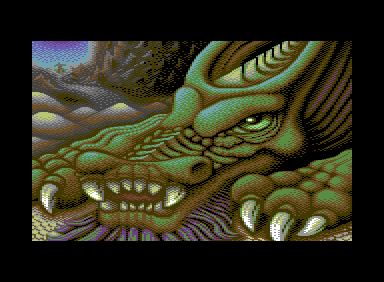 Again it's saehn/Style with another stunning image pixelled out in pure multicolor mode. A classic theme but who is that daring to enter the dragon's domain? This was saehn's entry for the X'2008 party, held October 24-26 in Gelderland, Netherlands.